Dr. Tiffani Witten is the owner and medical director at Back on Track Veterinary Hospital & Rehabilitation Center. She is certified in rehabilitation therapy and acupuncture and has a Masters of Science in nutrition. Her other special interests include sports medicine and exercise physiology, pain management, and behavior. Dr. Witten is dedicated to providing high quality medicine and a comprehensive and customized approach to treat the individual pets needs; integrating both Western and Eastern medicine, high quality supplements, and rehabilitation therapies to enhance your pets’ quality of life. She is committed to providing a low stress experience for pets and is certified in fear free. One of her favorite aspects of veterinary medicine is the relationships built with clients and working with them to provide a happy and healthy lifetime for their pets and families! 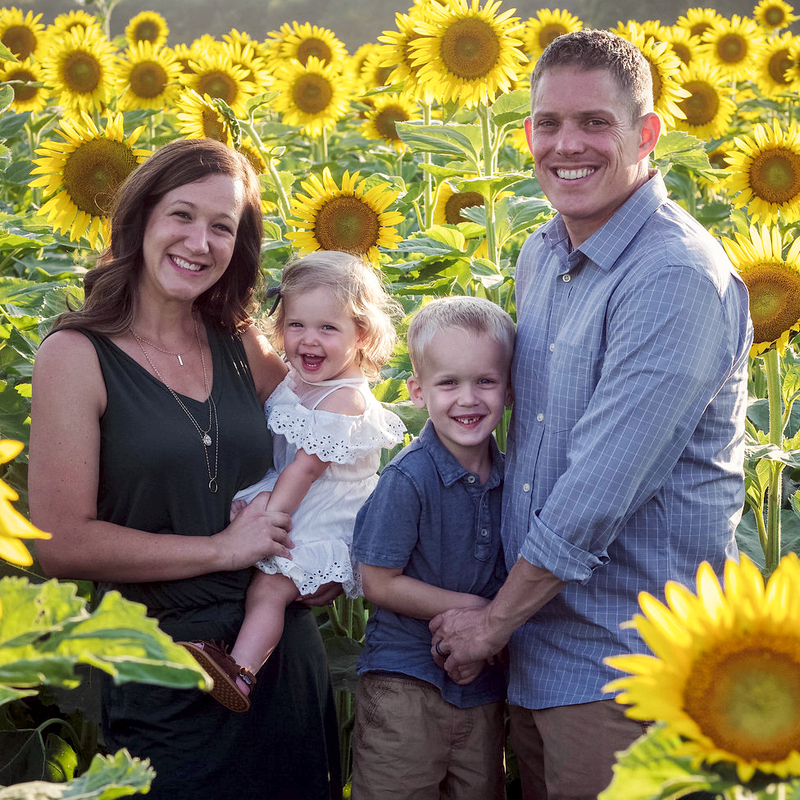 In her free time, Dr. Witten enjoys spending time with her family, fitness pursuits, reading, gardening, and listening to podcasts on the latest health information, or personal and professional development. I have always loved animals and never had a doubt I wanted to be a veterinarian. The first word I spoke was “cat” and some of my first memories are playing doctor with our dogs. I graduated from the School of Veterinary Medicine at the University of Missouri in Columbia after earning my bachelors degree in Biology from Truman State University with a minor in Equine Science. After graduating from vet school I moved back to St. Louis to begin in private practice with an emphasis on urgent care. My family consists of my husband and our two beautiful children. Our fur family at home includes two dogs, a shepherd mix and poodle mix, and a cat. Outside my family and veterinary medicine my other passion is in dressage. I have been competing for 15+ years. The partnership that develops between horse and rider is so beautiful. My other interests include cooking, trying new restaurants, traveling, crafting, and exploring with my kids. My interests in veterinary medicine are critical care, internal medicine, and helping develop the human animal bond. I love having pets as part of my family and helping pets be healthy members of other people’s families as well. I look forward to helping your loved one throughout their life. To learn more about Dr. Borgmeyer, read our in-depth article on our news page. I have had a strong love of animals and science for as long as I can remember. Veterinary medicine was the perfect career to pursue both of my passions. I received my undergraduate degree in Biology from Truman State University, during which time I worked at a kennel, mucked horse stalls and took care of geckos in the Herpetology lab. I decided to follow my interests in animal behavior and completed a master’s degree in Biology with an emphasis in animal behavior from the University of Missouri-St. Louis. During that time I worked as a veterinary technician, and gained not only technical skills, but also a profound respect for technical staff and all that they do. I then went on to pursue my degree in Veterinary Medicine at the University of Missouri. Go Tigers! After graduation I worked at an emergency clinic for a year before moving to general practice. What I love about general practice is following a pet from puppy or kitten hood through their senior years. I have a passion for animal welfare and medicine. I try to make every pet’s visit to the veterinarian as enjoyable as it can be. I also understand that veterinary medicine is an ever-changing field, and I strive to stay on the cutting edge. I am a member of the Missouri Academy of Veterinary Practice, an organization for veterinarians who complete additional continuing education hours. When not working, I like to spend time with my husband and two beautiful children. I also love to run with my dog, Boo. She is a Coonhound mix, and the best running buddy I could ask for. Our family is completed by two spunky and mischievous cats, Jon Snow and Samwell Tarley. I have two dogs and one horse and I enjoy riding horses with my daughter, boating and playing golf with my husband in my free time.